Sunshine today! One weak rain storm down; another on its way. It looks like the approaching storms will keep getting smaller with lots of sunshine in between; more and more sunshine. That is what I have been looking forward to. I have seeds started in peat pots, sitting on the table on my front patio and green shoots are starting to peek through. Yea!! 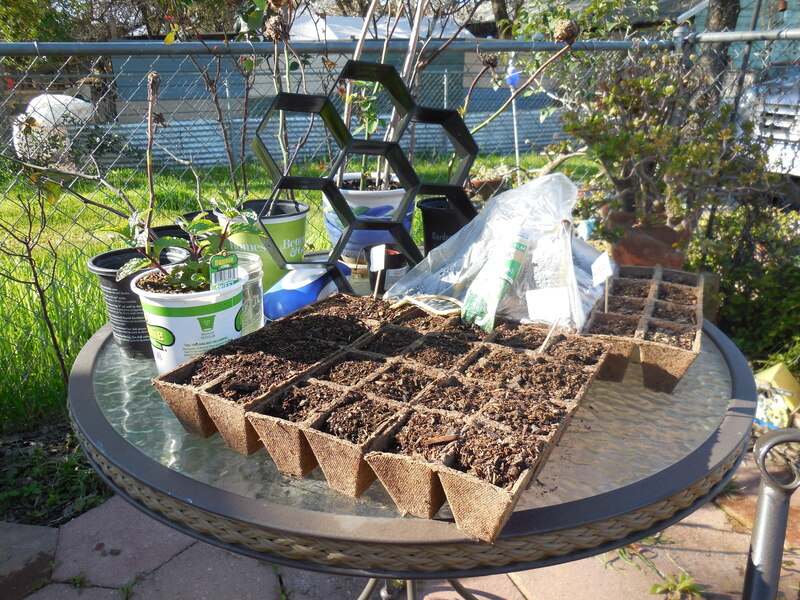 I am eager to get started on redoing my yard and, with the plants and seeds I planted, I have a really good start. 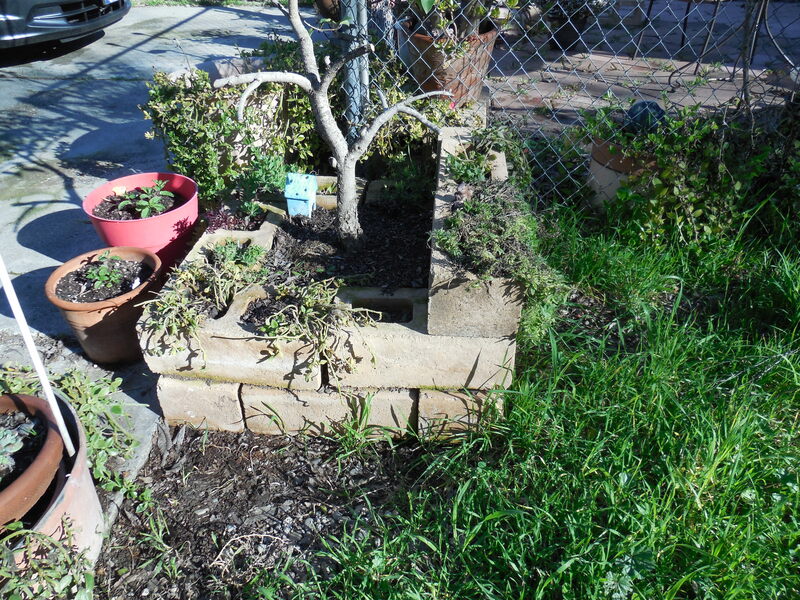 My mind is full of plans: putting in a drip system, building a pathway down the side of the yard, intensifying the spacing along that side of the yard and building a wall with cinder blocks that can be used as planters on the south side of the house. I envision what it will look like and dream about how to go about making it happen. My sister and I have planned a family gathering in August and I need it all to be looking good by then. I also have two trips planned so I need that watering system up and running by then. This is my retirement…reworking my yard and travel; at least for this year. And with this blog added to the mix the next six months look to be fairly busy. Who knows what to expect after August, but I am working on some plans for the fall so maybe it will be busy too. Sunshine is my fuel. Winter makes me want to curl up and hibernate…thank God I don’t live in a deep winter area because I probably would do just that! But when the sun starts shining stronger and longer, I start wanting to doing all kinds of things: gardening, travel, going in whatever direction I can find to go. I feel energized! I am definitely a California girl and I love that California sunshine!